Join The Mother Company for a FREE webinar on personal safety! Talking to young children about their personal safety is SO important, but where do we even start? Teaching them to ask for a police officer if they’re lost is unrealistic, Stranger Danger is outdated, and there are so many situations we can’t even predict (or want to imagine). How do we prepare our kids to make safe choices without scaring them? 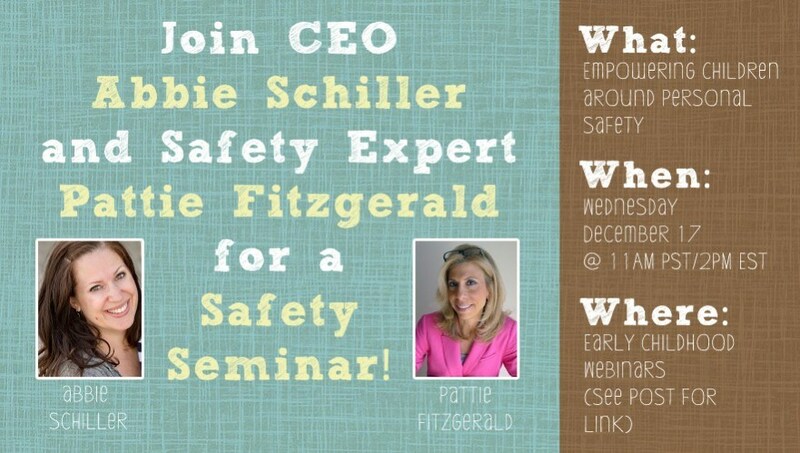 Join The Mother Company CEO & Founder Abbie Schiller and Safety Expert Pattie Fitzgerald of Safely Ever After, Inc for a modern, engaging approach to teaching kids personal safety – at home or in the classroom. Empower kids to be safe, not scared, by joining Abbie and Pattie for the powerful and important Webinar! Make sure to register ahead of time. Instructions for attending the event will be mailed to you. We hope to see you there!